A hurricane is one of the most devastating natural disasters that can affect your home, but when you need a fresh start in these trying times, 911 Restoration Miami is just a phone call away. 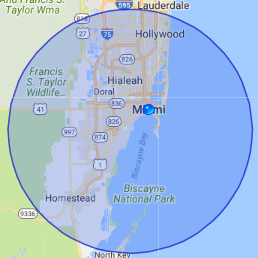 Our team of hurricane damage Miami technicians are ready and available 24/7/365 to perform restorations that will ensure your home returns to being safe and comfortable for you and your family. 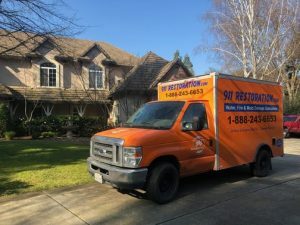 Should you need our team of professionals to be there, you can expect us to be at your home within 45 minutes so we can take care of any issues immediately. Our hurricane damage Miami pros have over thirty years of experience in assisting homeowners will all manner of disasters and you can always on us to deliver quality restorations. Miami is no stranger to hurricanes, and we know how devastating these storms can be. Our hurricane damage Miami team has experience with handling storm damage, and we know exactly how a storm can affect your home. Have an evacuation plan ready. Should you need to evacuate, identify which areas are your local evacuation routes. Your town’s local emergency management team can provide you with further information. Have a disaster supply kit ready. In the middle of a storm, having flashlights, first aid kits, money, and food are vital should you need to evacuate and roads may not be immediately accessible. Trim the trees around your property. The strong winds from a storm could remove loose tree limbs and could hit your home. By removing damaged trees or loose tree limbs early on, you can prevent any further property damage. Clean and perform the necessary repairs on your gutters. Having properly functioning gutters in the middle of a storm is a great way to prevent water from damaging your home. Inspect the roof, doors, and windows. Retrofitting and repairing damage to the roof, doors, and windows can ensure reduced property damage. By following these tips, you can have a more proactively role in protecting your home against the elements. Before returning to your home, make sure you listen to the advice of local officials for any updates or additional instructions you may need to be aware about. Our IICRC certified hurricane damage Miami pros are equipped and trained to handle any form of flooding or water damage. 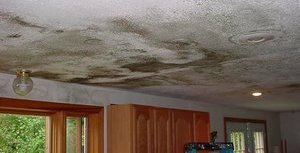 Our hurricane damage Miami technicians use advanced water removal equipment and techniques to thoroughly dry your home. We can also assist you file your claims with your insurance provider for your convenience and so you can get the most affordable prices for the restorations your home needs. Should you need immediate assistance from hurricane damage Miami pros, 911 Restoration is here to help!